The sport of BMX as we know it originated in the USA in 1969. In recent years, information has come to light that shows a very similar sport began in Holland ("Fietscross") in the 1950's. The USA version closely resembled motocross (MX) bikes, and the racing of BMX bikes with 20" wheels was seen as a great way of developing motocross skills in youngsters. The first ever organised USA BMX race was held at Palms Park in Santa Monica, California. Ron Mackler (considered the Grandfather of BMX in the USA) helped run this first event, with many local kids riding Schwinn Stingray bikes. Other BMX tracks began popping up throughout California over the next few years as the sport grew. By 1973, the National Bicycle Association (NBA) was formed and became BMX's first official sanctioning body. By 1974, the first "Nationals" were held, BMX publications began, and various manufacturers began making BMX bikes. It was at this time the sport began to really take off. Just like the USA, Aussie kids in the late 1970's began racing each other on vacant lots with makeshift jumps and start lines. Nothing fancy, just kids being kids and having fun. Sydney and Brisbane are believed to have had the first beginnings in BMX, both around the same time, with a lot of the early importers and distributors located in Queensland. 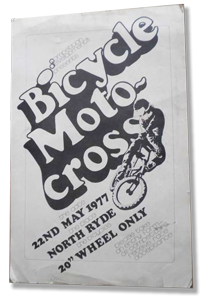 The first officially organised and advertised BMX race wasn't until May 1977 in Sydney, but that is not to say that many BMX races hadn't in fact been held prior to this. 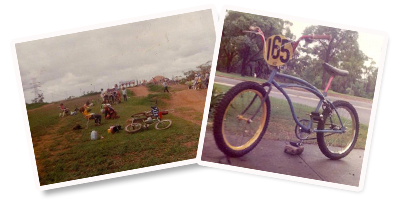 Reports claim that racing started as early as 1976 in QLD at the Windsor BMX Club with Ryde-Eastwood BMX Club being the first in Sydney to hold races. Dozens of riders raced each week as the sport began to evolve. Although very little promotion existed, the sport steadily grew. An Inter-City Challenge was introduced between the cities of Sydney and Brisbane. Brisbane won the first encounter, Sydney won the next. By 1978 BMX had spread to 5 states in Australia. Manufacturers were quick to capitalise on the BMX phenomenon in Australia. Mongoose, Redline, Raleigh and Diamond Back were early entrants to the scene along with local manufacturers like Quicksilver. By 1980, the organisation of the sport in Australia led to the establishment of the first national Championships, held in Sydney in June with entrants from almost every state in the country. 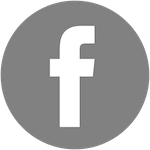 The following year, 1981 saw representatives of the Victorian BMX Association (VBMXA), Queensland BMX Association (QBMXA) and NSW BMX Association (NSWBMXA) establish the Australian Bicycle Moto Cross Association (ABMXA). This was largely achieved through the efforts of David Lloyd (President of the QBMXA) who was instrumental in setting up the State Based Associations. The first ABMXA President was Mr. Peter Howell. BMX had arrived in Australia, and the history of BMX Australia begins.